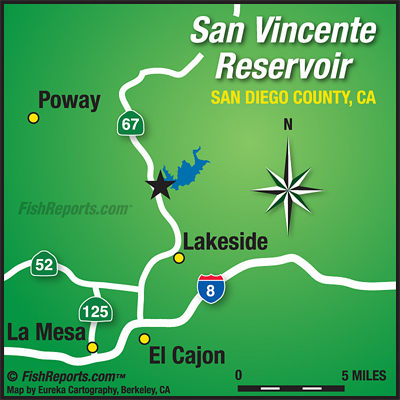 Santa Ana conditions slowed the wide open bass bite of last week, but as of this Sunday the fishing was starting to pick up once again. There are beds showing up all over the lake, but no large fish were reported to the concession. Saint Patrick’s Day brought out David Lewis and his son, from Chula Vista, CA. They picked up a half dozen Red Ear Sunfish weighing up to 2lbs, and a few Bass on red worms and shiners. There were reports of some big blue catfish lurking in the Barona arm, although non were caught.